Dobro strings provide vibration through the bridge and to the cone and soundwell. Dobro strings typically have a ball end to slip into the slot in the bridge. Dobro strings come in many different gauges (thicknesses) and materials. Flat and semi-flat wound strings are a popular option to reduce bar noise. We carry the best brands of dobro strings and several signature series sets by artists such as Tim Shearhorn and Phil Ledbetter. Martin selected a nickel/steel alloy for its tonal qualities which are best suited to accent the strong resonating tendencies of most resonator guitars. In addition, Martin Bluegrass strings are highly resistant to corrosion. An ultra-fine layer of EXP Coating is bonded to the phosphor bronze wrap wire which is then wound onto the hex-shaped core wire. The result is a built-in barrier against the corrosion and wear that can quickly sap the life out of your strings and your sound. These Phosphor Bronze GHS strings are specially combined to give the best "G-Tuning" set for acoustic slide guitar and dobro. These Phosphor Bronze GHS strings are specially combined to give the best "G-Tuning" set for acoustic slide guitar and dobro with reduced slide noise. Cryogenic phosphor bronze strings for resonator guitar, G tuning: 017 019 028w 036w 046w 056w. 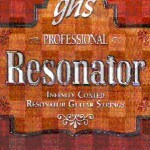 GHS Resonator Guitar Sets are designed and used by professional players. The gauging and materials have been selected to provide long-lasting bright tone for all playing styles. The core to wrap ratios give you brilliance, sustain and volume-a great combination to make sure you are heard loud and clear.